Simple, but effective is what makes Royal Vegas an amazing online casino! Royal Vegas has a straightforward layout with a modern feel giving you the option to play via a web browser, or an app that supports Blackberry, Android, Windows, and iOS devices mobile devices as well as Windows/Mac PC/Laptops. What’s more is all the entertainment is provided by 2 of the best in the business spearheading all the gaming action – none other than Microgaming and Evolution Gaming! You will find more than 500 real money and free to play casino titles neatly organised into manageable sections making it an effortless task to find the game you want to play. Moreover, it is easy to sign up Royal Vegas, and you don’t need to make a deposit to play the games. That’s correct! Anyone can play on any of the virtual casino games on Royal Vegas for free for as long as they are member of the casino. 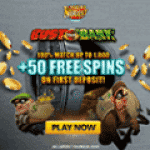 Nonetheless, if you do decide to make deposit to play on the cash games, you have the chance to get your share of a cool calm and collective $1,200 +120 Free Spins using the casino’s Deposit Match Welcome Bonus Codes. Whether you deposit or play for free, you have access to Video Slots, Classic Slots, Progressive Jackpot Games, Roulette, Blackjack, Baccarat, Craps, Keno, 3 Card Poker, Caribbean Stud, Dream Catcher, Texas Hold’em, Keno, Scratch Cards, Red Dog, and there are some custom games added in just for giggles! For tournament lovers, Royal Vegas has a consistent flow of Slots and Blackjack tournaments to get involved in with buy-ins and prize pools giving players the chance to play hundreds of spins and hands for just the price of a buy-in, but for the chance to win chunk of the prize pool if you can finish in one of the money spots. All the virtual games are courtesy of Microgaming; while, the reputable Evolution Gaming presents you with its impressive LIVE Dealer Suite action. Finally, the casino is eCOGRA approved, Evolution Gaming has a licence with the UK Gambling Commission, and the casino has a licence with the Malata Gaming Authority. This ensures 128-bit SSL encryption is used, player money is handled responsibly in separate account from the casino, and all the gaming results are shared publicly. If you want to know more about how such a simple casino turns out to be one of the best we have ever reviews, then read on. Royal Vegas is jam packed with action! Altogether Royal Vegas Casino’s gaming suite currently boasts more 500 games, all of them from Microgaming. 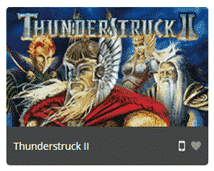 This is yet another casino that is only dedicated to giving its clientele that special combination of Quickfire cross-platform gaming delivery and Microgaming casino management. The most impressive part is that because they are connected to Microgaming, there are more than 500 games available to play at this casino and counting. Every month new options are added so members always have something new to test out. Navigating the gaming section could not be easier. The sections are clearly explained so you know exactly what you are getting. Every section also has a number, which is basically telling you how many games are available. Favourites, Featured, Slots, Tables, Video Poker, Progressive, Scratch Cards and Casual Games. All you need to do is visit the home page of the website from your tablet, laptop, PC or Smartphone, and the games are all there for your perusal. You can also easily tell which of the games are available on mobile because there is a mobile symbol available, plus you have the ‘♥’ symbol, which is so you can bookmark your favourite games in the favourites sections. There is also a cool filter system so under each section of games, which you will see below, you can filter out the games according to certain specifics. For example, “Newest” so you know which games are the latest releases in that section. Also, there is “Hot/Cold” which will let you know which games have been paying out a lot recently (HOT) and which ones have not (COLD). We’ll take you through each section of the casino’s gaming area, and we will also list some samples of the games offered and Royal Vegas. As mentioned above, if you have games that you play often, and you want them bookmarked under one section, just click on the ‘♥’ symbol and you are away. All your favourite Microgaming titles will be stored here until you decide to unbook mark them. At Royal Vegas, the team are experts at knowing which games the majority of their clientele enjoy playing. From their own experience as well as tracking systems, the casino will decide which games to feature here. Of course, any new releases, you will most certainly find them in this section for at least a few months. As you can see from the symbol to the left of the ‘♥’, these 3 new arrivals are all available for mobile play as well as desktop. Slots are always going to take up the lion’s share of the games in any online casino because releasing a new theme is always going to be easier compared to trying to add a twist to games like Roulette or Blackjack. It is also easy to add new features, which on the Microgaming slots you will be playing on at Royal Vegas Casino, there are plenty. Play 3-reel and 5-reel slots with 1 pay-line, 3 pay-lines, 15 pay-lines, 20 pay-lines, 25 pay-lines, or play the more modern Microgaming slots with no pay-lines all a.k.a. 243 Ways to Win or 1024 Ways to Win slots. Once you get the reels spinning you will netting cash from all the well-known Microganing features; such as, multiplying wild symbols, stacked wilds, stick wilds, wild reels, stick reels, sticky symbols, scatter multipliers, free spins, pick me bonuses, epic bonus rounds with an adventure story, skill play bonus rounds, and more. You have the option to filter the slots into ‘Reel Slot’ or ‘Video Slot’ and ‘Newest’ or ‘Hot/Cold’. Microgaming’s virtual table action is renowned for being spot on perfect! Blackjack, Roulette, and Poker players will fall in love with the diverse collection if variants for each of these popular casino table games. Baccarat players will also be delighted to see their favourite game on the menu, plus Craps and more games can found here. To find the style of game you want to play, either use the filter or the search function. In our list of games below we left out the LIVE Games and MOBILE games as we will be covering those sections later. In this section you will find over 25 games of video poker. The variation is fantastic, but we’ll only mention the desktop versions and give you the mobile versions in the ‘Royal Vegas Mobile Casino’ review section of our review. There are only 2 filters in this section a) Newest and b) Hot/Cold. As these filters are always changing instead of breaking it down as we have in the other sections, we’ll just give you a sample of the very best video poker games Royal Vegas has to offer. Now this is where you hear about all the big jackpot wins. There is always a display on each of the slots indicating the amount the progressive jackpot is up to. The filters for this section, as with the video poker section, are the same – a) Newest and b) Hot/Cold, so there is no need split this up. Again, we will save the progressive jackpots available for mobile games in the ‘Royal Vegas Mobile Casino’ review. Filtered only into hot and cold, this is a very interesting area of the Royal Vegas Casino. There are tons of scratch cards to play here all on desktop – for the desktop and mobile versions, see the ‘Royal Vegas Mobile Casino’ review section below this. This is where Microgaming have added in a little bit of extra fun to your casino play. Even if you are an avid slots player, or a hardened Blackjack fanatic, you probably won’t be able to stop yourself for wandering over to this section and investing a bit of cash in some of the fun that is on offer. Note, the games we mention here are only available for desktop play. Live online casino tournaments are all the fashion and Royal Vegas is one casino that has made sure these tournaments are available to its clientele. The casino will announce certain games that are available for tournament play on a regular basis. All you need to do is stump up the buy-in, watch as the prize pool rises as more players join and wait for the tournament to kick off. For the slot tournaments, you will be going head-to-head versus other players to spin and win as much as you can. If you are successful, you will come up against a new opponent. This is all part of the International Slots League, which connects all Fortune Lounge casinos that participate in slots tournaments. Dates and times are advertised and the prize-pools will be finalised once the tournament is underway. Just log in, choose the tournament that suits your buy-in and go for the big win. Over in the Blackjack tournament area, you have 2 choices. to play in the Freerolls, so these games are free and there is an announced prize pool. Due to the entry being free, as you can imagine, there are a lot of players vying for the prize pool with the eventual winners coming out with free cash. As with the slots tournaments, dates and times will be announced. You will need to pay a buy-in fee which contributes to the prize-pool. For the buy-in tournaments there are 2 styles. Sit ‘n’ go versions which begin once the pre-defined number of seats have been filled. Each tournament comes with a different buy-in amount. It is a little like in the poker rooms, the higher the buy-in, the higher the prize-pool, the more places paid, and most excitingly of all, the bigger the prize becomes the longer you survive. There are plenty of mobile games to play on Royal Vegas. In most our lists of games above we left out the mobile games you can play at Royal Vegas. Although in the slots, we did give you a taste of some of the slots available on mobile, here we are going to give you the entire list of games you can play on the Royal Vegas Mobile Casino. Just take note that every game we have mentioned in our review in this section and above is available on both mobile, desktop and Mac! However, in this section we are about to reveal all the fun there is to be had from your Windows, Blackberry, iOS, or Android Mobile smartphone or tablet. With Quickfire, part of Mcirogaming, behind the system that delivers the games to mobiles, you are in for nothing short of breath taking 3D animated action! There are over 150 slots available to play via your mobile device, so we just picked 5 more that are hot on the casino right now. There may be only 5 jackpot games available on mobile, but these progressive slots are the highest paying online. Mega Moolah has paid out over £13 million in the past!!! Now that is an amazing list of table games all available from your almost any mobile device out there! Once again, Royal Vegas has gone out of its way to make sure mobile players get a variety of mobile games from another popular section of their casino. We count over 30 mobile games that are not slot related in the Royal Vegas Mobile Casino section. Add another 150 slots and there are over 180 games to play on the move! Thanks to Evolution Gaming adding its LIVE Dealer Suite to the Royal Vegas Casino, players that want to feel like they are in a reel casino from the comfort of their own living room or even from their mobile – (yes LIVE Dealer Games on your mobile). Overall there 8 LIVE dealer suite games and all of them can be played on your desktop, mac or mobile device! The advanced technology behind the way Evolution Gaming quickly determined the results of the games is amazing. We have all heard of facial recognition software, well, Evolution Gaming’s cameras use the same software to determine the results of every deal or coup within a matter of seconds. All you need to do on the card tables is place your bets using the virtual chip interface, and the dealer will deal out the live cards on the table. The web cam is streamed back to your device, and on its way from the lens to your betting account, the winnings or lost stakes will be calculated. Even if you need to double down or split, the real-time card reading technology will quickly let you know, and give you the option immediately on your screen. Roulette is slightly different because the dealer will not place your chips on your behalf, so you will have a virtual Roulette table in front of you, and the system will record your bets and pay you out accordingly. That is some fantastic software, and few people can argue with that, hence the reason Evolution Gaming LIVE Dealer Suits are now number 1 in the world! Well we have already mentioned just how amazing the LIVE Dealer suite software is at quickly determining the results of the deals and Roulette coups. However, there is more. For instance, the way that Quickfire delivers the highest possible quality gaming experience to your Mac, PC, tablet, and/or mobile. It is not simple, but not difficult to explain. Every game is coded with a base code. The game is then tweaked several times. Each tweak is code being customised for every possible operating system, device, hardware, screen size and bandwidth. That means if you are using an iPad with iOS, a Samsung Galaxy S7 or S8, iPhone 5 or 6, Mac, or whatever the device, Quickfire’s cross platform system detects, learns, and adapts the game to the device in question. As a result, you get the best quality gaming performance your device can handle! As for the casino’s functionalities, we have explained how the software works within the gaming section allowing you to section off games and filter certain types of games under each section. We have not gotten to explaining the bonus codes and loyalty sections just yet, or banking. The Microgaming Casino Platform manages this side of the casinos operations. Make no mistake, this is not the games designed by Microgaming. in fact, it is a virtual system coded to track your every move on the casino to give you the best possible casino experience. You will never lose track of your finances because there is a full history of all transactions, all money on and off the tables and slots, which games you played, when you played them, the number of loyalty points you have gained playing those games, and much more. There are no guessing games on the Royal Vegas Casino. This is high tech computer software coded to manage every change on a member’s account. All these sections under your personal account gaming history, and transactions sections will display all the information you need on demand. Finally, all Microgaming virtual casino games are controlled by Random Number Generators (RNGs). These algorithms are totally random, and over the years of online casino gaming, they have become so advanced that they mimic the actual probabilities and variations of a real life dealer or courier on the table games. As for slots – even live slots have always had RNGs built into them since they first came out. We cover RNGs more and how they are regulated in the next section. For licencing Royal Vegas admittedly still does not have a UKGC licence. However, Evolution Gaming, the company responsible for the LIVE dealer suite does. It is only the virtual gaming side of the casino that has not yet taken the giant £20 million investment to register itself. Despite this, UK players are still able to access and play at Royal Vegas Casino, and to be honest after playing at their site and reviewing their games, there is no reason why not play at this casino. Aside from this, eCOGRA has approved the site as trustworthy. This means the results of the casino’s virtual games and the theoretical RTP of very game is made public. eCOGRA regularly analyses and issues reports that keep a check on the gaming results. Players can even contact eCOGRA directly and open disputes, which the eCOGRA team will take seriously and act as a mediator. In addition to this, approved third-party RNG and financial analysis and algorithm technology experts test Royal Vegas’s RNGs fact and figures. Backing all of this up is the Malta Gaming Authority. This is a company that has more years of experience in regulating online gambling than any other licencing authority. MGA has much respect in the industry has a highly regarded reputation for having strict financial regulations and testing policies that casinos must adhere too. Member of Royal Vegas are reassured that all connections to the casino are safe and secure. 128-bit SSL encryption is used, which is exactly the same encrypted virtual certificates used in the financial markets. They are not cheap, and they are issued by companies that are experts in cyber-security. To conclude, player privacy policies are in place at the casino that safeguard all members personal information. Safe server environments have been set-up, so member information is kept under lock and key. Not even Royal Vegas staff can access the accounts. That may sound crazy, but it is the same type of security you will find in a bank. The only way a support staff member can access your account is with you answering secret questions and giving partial details that will allow them to gain access. This would only arise if you happen to contact customer support. And even then, the software on the hardware the support staff are using tracks their employees’ movements. CCTV monitors all the server rooms, support personnel, and anyone working at the casino will have already been through very thorough background checks. New players are rewarded for their first 3 deposits made with casino. For those that can meet the maximum deposit amount, there is a $/€1,200 qualifying amount of bonus cash to be had. There are always past and present promotions. The casino likes to show off past promotions because you can get a feel for what could be in store in the future; there is nothing like a bit of anticipation when it comes to free cash to gamble with! Promotions include winning free spins, playing on games during certain dates periods where the casino has set a value on prizes they will give away. The latest giveaway is €400,000 to be spread out amongst players playing on the casino within a 3-day time period. There is also fin promotions like completing a monster book, and if you get all the monsters, you will unlock some of the largest giveaways the casino has to offer. These promotions are always changing so just keep your out for SMS messages, emails, and keep checking the promo page. Play on certain games to get more loyalty rewards points. Slots mean that every 1 credit you play, you will get 1 point; while on table games you need to bet 5 credits to get 1 points. You will need to double check the Royal Vegas Reward Program to see which suits your playing style the best. Points can be redeemed as cash once you hit a certain level. With the more loyalty points you pick up, the higher your loyalty status becomes. It’s simple, there are 4 levels to traverse. Silver, Gold, Platinum, and Diamond. Everyone begins at Silver just by registering a real account, which means making a deposit. You are then eligible for a weekly bonus, to redeem reward points as cash and get free loyalty points just for making a deposit. Rewards include more free points just for making a deposit. As you climb up the levels you get accelerated points earnings, birthday bonuses, monthly loyalty bonus points up to 50,000 and more! For top quality customer services, it is hard to beat Royal Vegas Casino. Their support team are there to help in every instance. They have been trained to understand the inner workings of the casino, customer accounts, and how to deal with all manner of member personalities. There is also a helpful FAQ section, as with most casinos. Here you will find most of the answers you will need for almost all situations. Saying that, there are always those times when you need to speak to one of the agents. To get in contact with them there are some innovative options that we don’t often see other online casinos use to ensure there are several ways to get in contact with the casino support staff. With Royal Vegas connected to so many banking options, they have certainly made certain that their system is safe and trustworthy. 128-bit SSL encryption into the casino, then when financial transactions are dealt with, the same financial grade SSL certificates are used. Additionally, advanced fraud detection software is used so the if anything looks suspicious about any transaction it will stopped and investigated. This gives players the highest levels of protection possible preventing fraudulent activities on the site. Honestly, it is difficult to know where to begin and end. There something for everyone on Royal Vegas Casino. Let’s begin with the choice you have when you sign up. You can sign up and just play for free or opt in for a huge Welcome Deposit Bonus deal. After this, you are showered with bonus after bonus on daily, weekly, and monthly intervals. Financially, it doesn’t really matter where you come from, or which payment method you prefer to use, Royal Vegas is easy to deposit into, and equally there are plenty of ways to withdraw too even if your deposit method does not allow withdrawals. You can play via any device that can connect to the internet; Windows and MAC desktop/laptops as well as Windows, Blackberry, Android, and iOS mobile devices. With that, you can play using the app or via your web browser. Adding to this, all the games will be streamed perfectly by Quickfire’s advanced delivery regardless of the device you use. However, the highlight of the site is for those that love a simple interface that can easily be filtered down because the casino has so many games available. 500+ games can be tough to sift through, but Royal Vegas makes that process effortless. If it is ease of use, and extra functionalities you like; such as, adding games to favourites, and knowing which games are hot and cold as well as general organisation, this is the right casino for you. Slots, Blackjack, Poker, and Roulette players will be more than at home here with a tonne of variations available for each game. Baccarat and Craps players are catered for too. Plus, if you are an all-round casino player, or you like a mixture of slots, bingo, keno and scratch cards, once again, you are in exactly the right place. Slot and Blackjack tournament players will be ecstatic with the number of tournaments and the variety of options such as buy-in, freerolls, and sit ‘n’ goes. LIVE casino players have access to the hugely respected Evolution Gaming. Even better than that, the technology behind the LIVE Dealer Suite is fast, efficient, and even available for mobile play. Honestly, the summary still does not do Royal Vegas much justice because there are just so many areas to cover that are so positive about the casino’s offering. What is amazing though, is how so many positives can come out of what is such a simple looking casino! In short, Royal Vegas have really hit the nail on the head, and their competitors must be scratching their heads on just how such simplicity can offers so much brilliance.